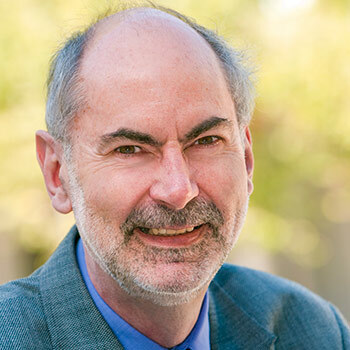 The Board of the Balsillie School of International Affairs (BSIA) has extended the appointment of Professor John Ravenhill as director of the school for an additional one-year term ending August 30, 2019. Ravenhill came from the Australian National University in 2013, where he was the head of the School of Politics and International Relations. During his successful five-year term with the BSIA, he has established it as one of Canada’s leading schools of international affairs. “We are thrilled that John has agreed to extend his appointment by another year. He has provided outstanding leadership throughout BSIA during the past five years, which we know will continue for the coming year while the Board leads the search for a new director,” said Rob Gordon, chair of the BSIA Board and Wilfrid Laurier University’s provost and vice-president: academic. During Ravenhill’s term, all three of the graduate programs hosted at the BSIA have grown, and the school now offers more than 120 events each year, most open to the public. As an internationally renowned political scientist, Ravenhill is well connected and continues to foster new linkages for the school nationally and internationally. Among his most impressive accomplishments, Ravenhill led the creation of seven “research clusters” at the school to focus the vast research interests of the school’s faculty and students and to promote this knowledge through themed lectures and workshops. He established a relationship with Global Affairs Canada to allow the school’s students to develop policy briefs that feed directly into the government’s decision-making process, and he developed a cohesive strategic plan to steer the school into its second decade. The BSIA is an institute for advanced research, education, and outreach in the fields of global governance and international public policy. Founded in 2007 by philanthropist Jim Balsillie, the BSIA is an equal collaboration among the Centre for International Governance Innovation (CIGI), Wilfrid Laurier University and the University of Waterloo. As a hub in a global network of scholars, practitioners and students, the school’s mission is to develop new solutions to humanity’s critical problems, to improve global governance now and in the future, and to contribute to enhancing the quality of people’s lives around the world.